Slash, original name Saul Hudson was born on July 23, 1965 in Hampstead, England, to Antony Hudson, a British visual artist and Ola Hudson, a costume designer of African-American origin. He arrived on this planet at a time when rock ‘n’ roll was at its peak. His parents were brilliant in their own unique ways as Ola used to design signature outfits for David Bowie and Anthony was responsible for the iconic album covers of artists/bands like Joni Mitchell, Neil Young, Jackson Browne, Ringo Starr and others! The talented parents’ biggest contribution to rock music was realised when young Saul picked-up guitar for the first time and later formed a band with his drummer friend Steven Adler. Sometime during that journey people also started referring to him by the nickname ‘Slash’ that he received from a family friend and excellent character actor named Seymour Cassel. Today Slash is everywhere in the guitar books and even in the slot games at popular online casinos, including Lucky Nugget casino games! Let’s now take you through the top two must-listen Slash solos. There’s no guitar solo that has come closer to Sweet Child o’ Mine after it was released in the year 1987. While many aspiring guitarists try to imitate Eddie Van Halen’s works or the legendary ‘Black Sabbath” riff by Tony Iommi, it’s very difficult to try and replicate what slash played in this track. It has rightly taken the top spot in this Top 10 GNR tracks’ list at telegraph.co.uk. 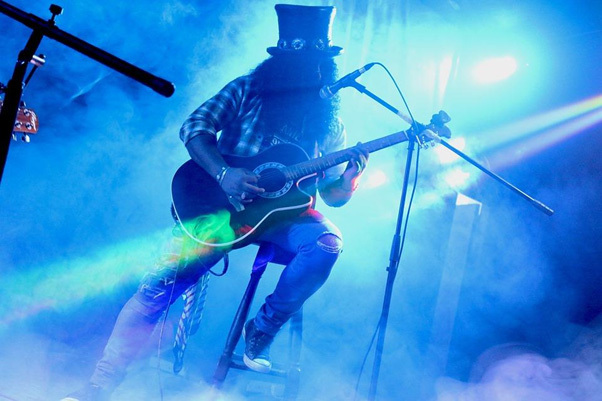 Originally called the circus song owing to its calliope-like tones, Slash used to treat the riff more like a finger stretching and string skipping exercise rather than a proper composition. All of it changed when he played it during practice with Steven Adler once. Guitarist Izzy straddling right away recognised its genius and backed it up with chords. Duff McKagan then gave it the necessary base backing and an inspired Axl Rose worked out the lyrics. As Slash aptly mentioned in his self-titled 2008 memoir, within a time span of one hour something that he used as a guitar exercise transformed into something phenomenal! 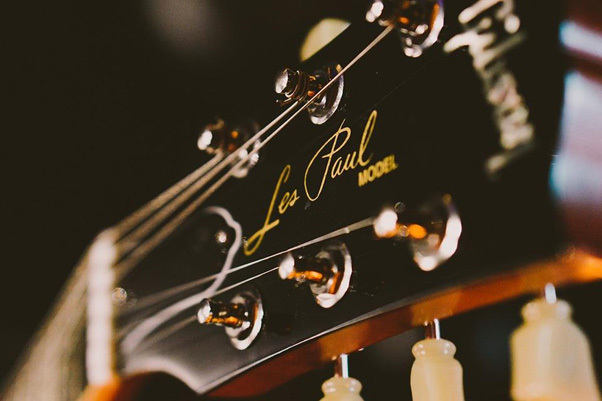 Read what Leslie West has to say about the guitarist in this interview! This one’s the cosmic-reaching and sprawling hard rock epic that has inspired and created guitar geniuses everywhere in the world! Axl Rose started composing the nine minute song sometime in 1983. Throughout its creation Axl would threaten the producers, bandmates and other players involved in the song that he would leave the music business for good if they failed to match the song exactly as he had been hearing it inside his head all along. The song was released after it apparently lived up to the vocalist’s expectations and became a rage among the rock lovers instantly, becoming the longest ever song to reach the top 10 charts, eventually reaching the number 3 spot on Billboard. In the song Slash unleashed not just one, but two of the most amazing guitar solos ever created in the music history. While the first solo is pensive yet hopeful, the closer is all about blood storm of abandonment and agony!